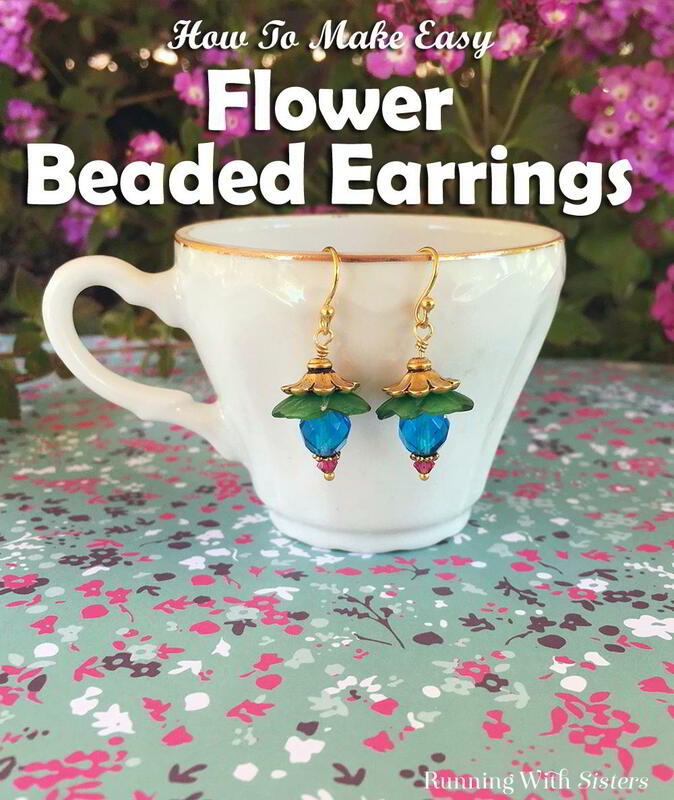 These Flower Beaded Earrings are super easy to make and so so pretty for spring! We got the Lucite flower beads at a bead show and picked up the rest of the beads at the craft store. Lucite flower beads are very light and come in all kinds of pretty frosted colors and different flower styles. Here’s a video we made showing how easy these are to make. Plus we have step-by-step instructions below. And if you have any questions, just leave us a comment and we’ll reply. We’re here to help! 1. 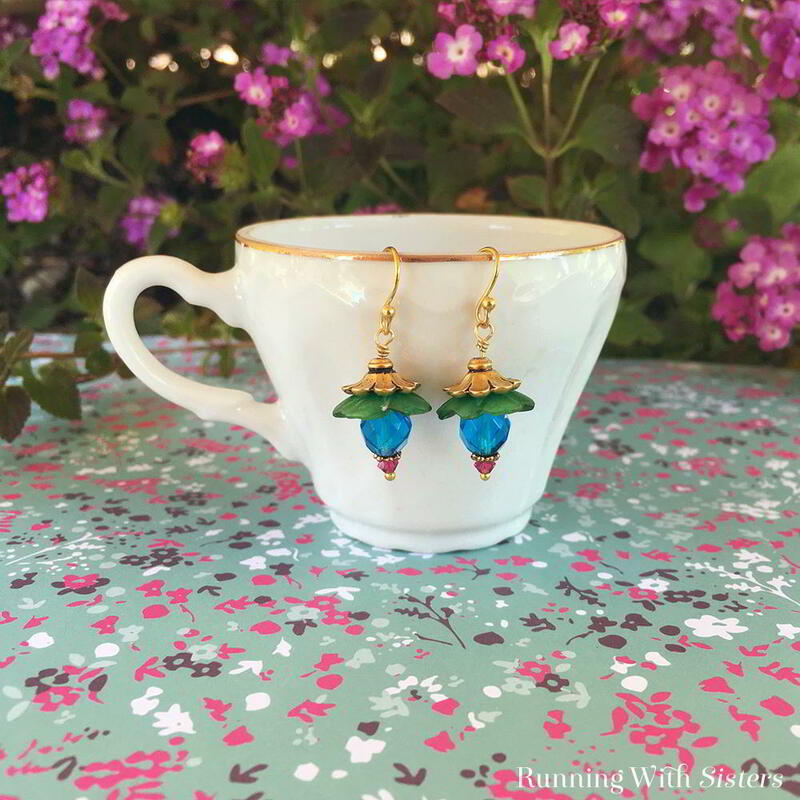 These earrings are so easy. Just feed the beads on in order and you’re almost done! 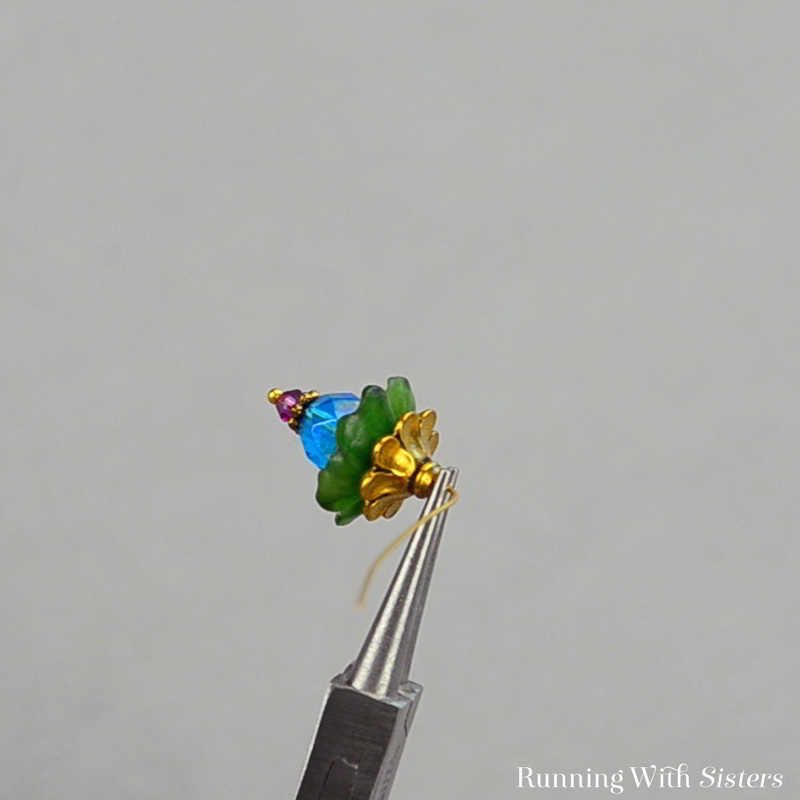 Start with the fuchsia crystal and slide it onto the gold headpin. 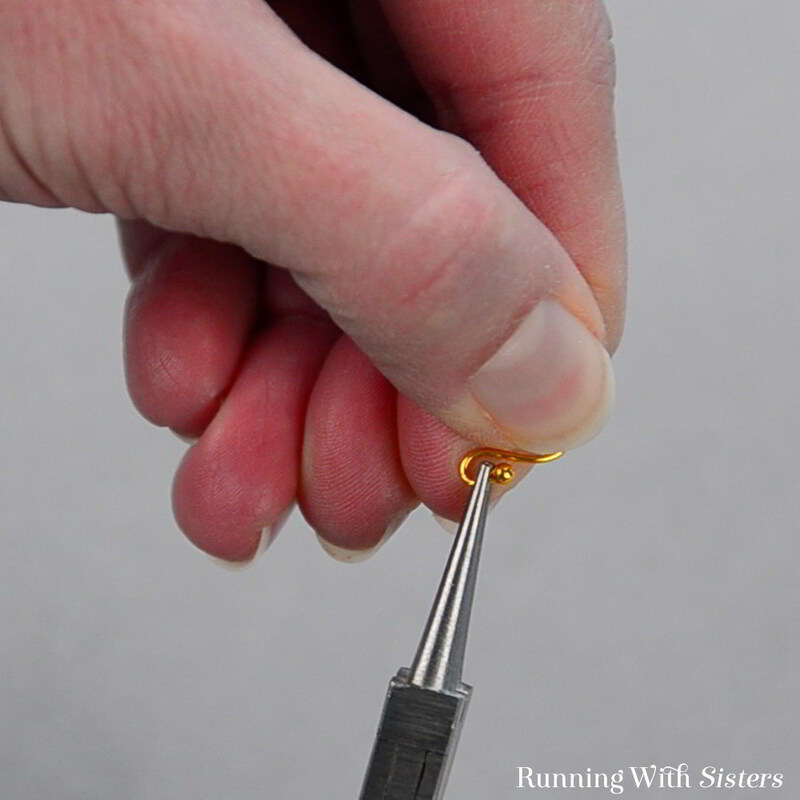 Next slide on the gold bead spacer and the turquoise rondelle. The green Lucite flower bead goes on next. Finally, slide on the gold flower bead cap. 2. 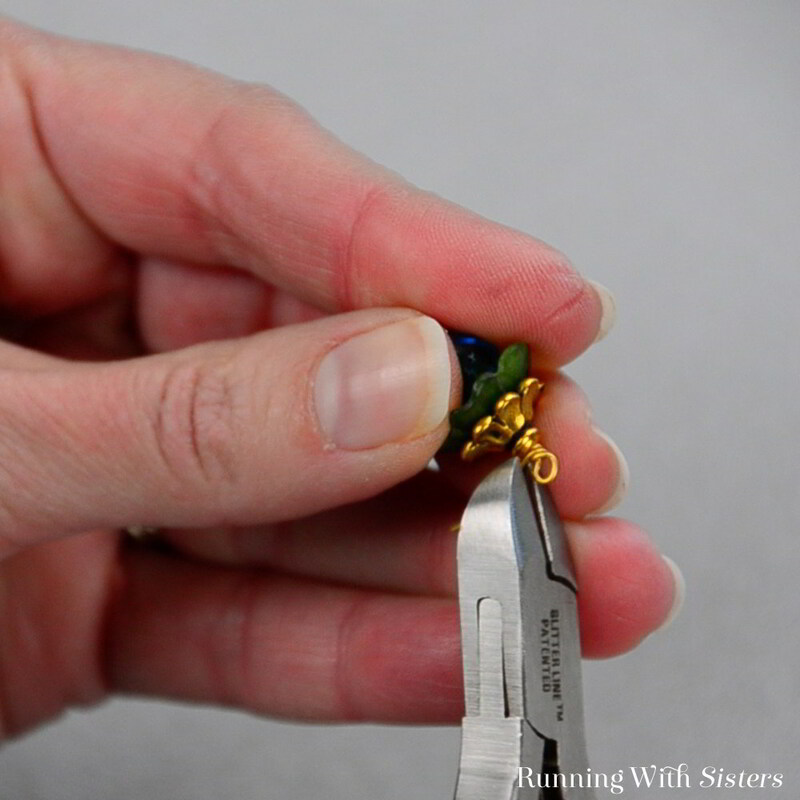 To make this into the earring dangle, finish the top of the head pin with a wrapped loop. 3. To do this, bend the wire 90 degrees. 4. Make a complete loop in the wire. 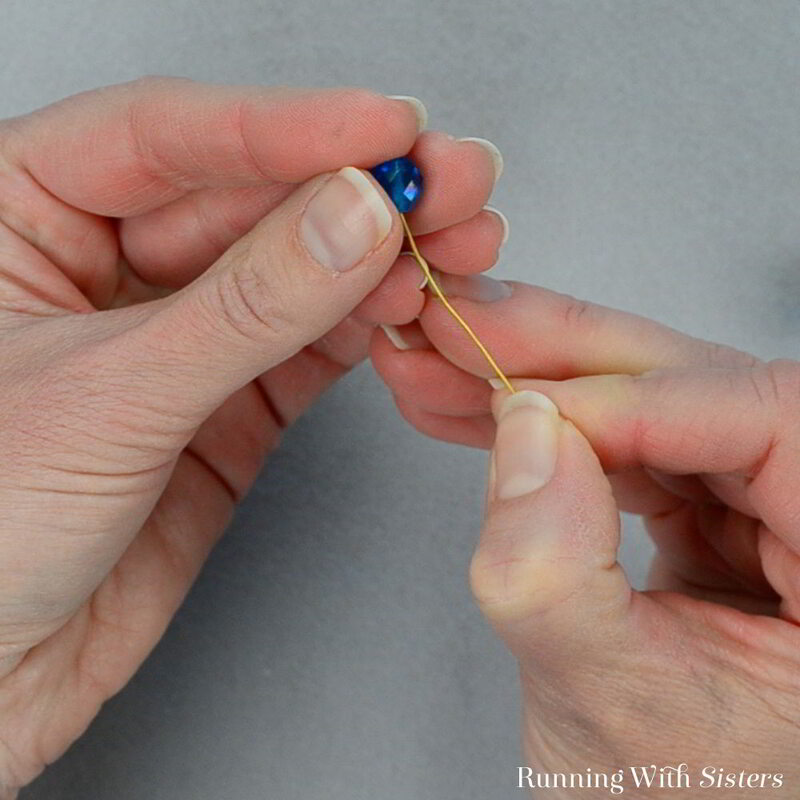 Then wrap the tail of the wire twice around the neck of the head pin. 5. Trim the end with wire cutters. 6. 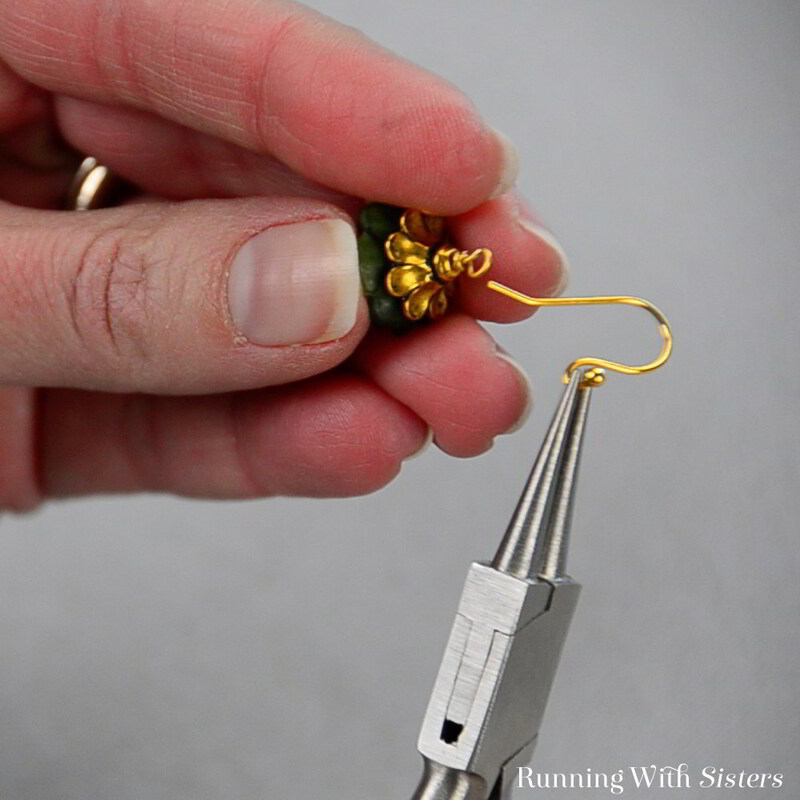 Open the earring wire and slide the loop of the beaded flower dangle onto the earring wire. 7. Close the earring wire. 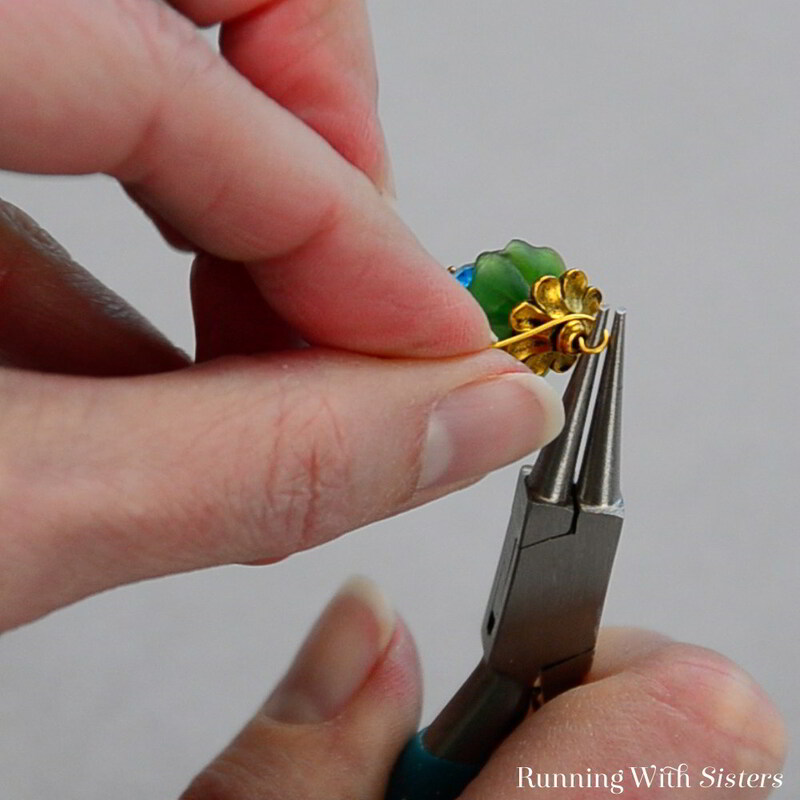 We love making jewelry and have lots of jewelry making videos on our YouTube channel. We’d love to have you visit and subscribe! We post a new video every week! You have the BEST video tutorials. Thank you! Thank you so much Susan! Have you subscribed to our YouTube channel? We’d love to have you subscribe.